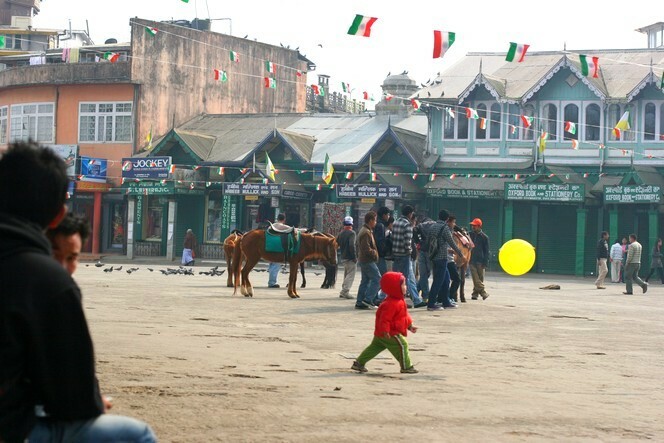 Darjeeling’s main square, its centre, its heart, is called Chowrasta. You have to come here on Sundays to realize how popular it is. 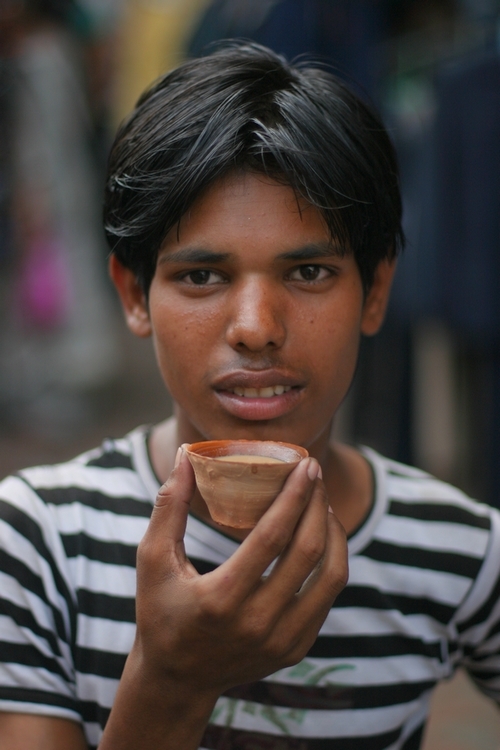 People come from all the surrounding mountains around, they travel for several hours to spend part of their afternoon there, sitting on one of the numerous benches, sipping the famous spicy chai tea. It’s easy for an experienced eye to distinguish by their costume Sikkimese from Nepalese women, Tibetans from Bhutanese and Indian tourists, often from Kolkata, who are cold here and put a scarf around their head, with a knot on top of it, just like an Easter egg. As for the kids, people hoist them on one of the numerous horses for a nice ride on the Mall. It wasn’t very warm this morning on Chowrasta, at a time when shops start opening, the time of the first onlookers, hands in their pockets. At a time when you have the whole space to play when you have such a nice yellow ball like this! In the mountains of Nepal, people still believe in the Yeti. I’ve not had the opportunity to meet the Abominable Snowman myself, but I’ve heard plenty about him from the villagers. What I do know is that he is not abominable and is not always the size that people claim. 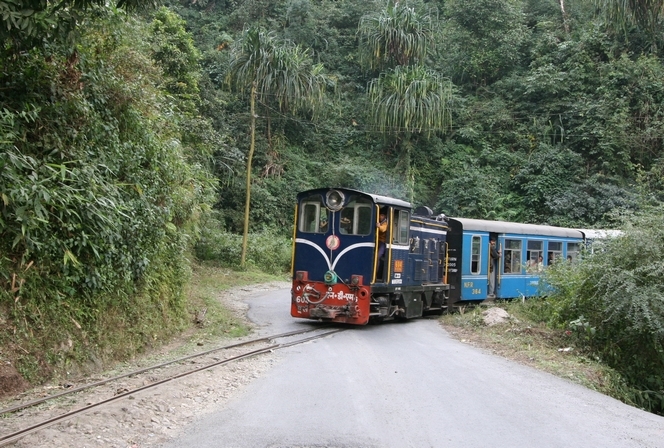 Around the Kanchenjunga Tea Estate (Nepal), the yetis, of which there are many in the region, are not even a metre high. 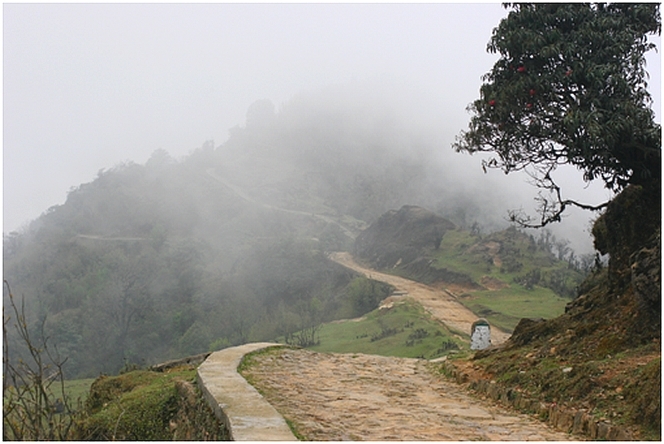 I wonder if the magic of the Himalayan landscapes might have a part to play in all this. The filaments of mist flanking the mountains, the trees that appear and disappear with the changing winds, which are so full of humidity they feel as thick as cotton, the paths that fade into the clouds… When the sky merges with the ground, it is easy to lose your bearings. I like taking things slowly. I appreciate anything that takes its time. 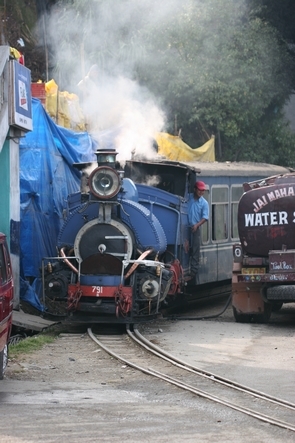 So you won’t be surprised to hear that my favourite train is one of the slowest in the world, perhaps the last steam train in operation in India. 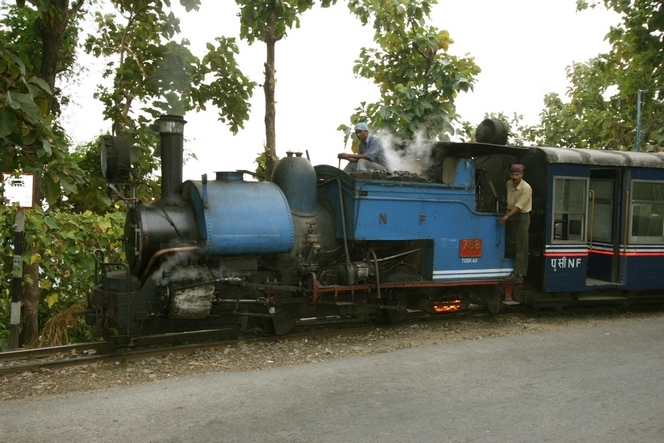 It is nicknamed the Toy Train and it runs between Jalpaiguri and Darjeeling, a distance of 80 km which takes it… 8 hours! It needs all its puff to climb 2,088 metres. The seed of a tea plant, the seed of a blog. The start of a blog is like a birth. It is like sowing a small seed, giving it time to germinate, then watching it emerge and grow until finally it becomes a mature plant. Something that links you to others by sharing a part of life, of love. So to begin my blog, I have chosen a photo of a seed. The seed of a tea plant, of course. I can’t remember exactly where I took this photo, but it doesn’t really matter. 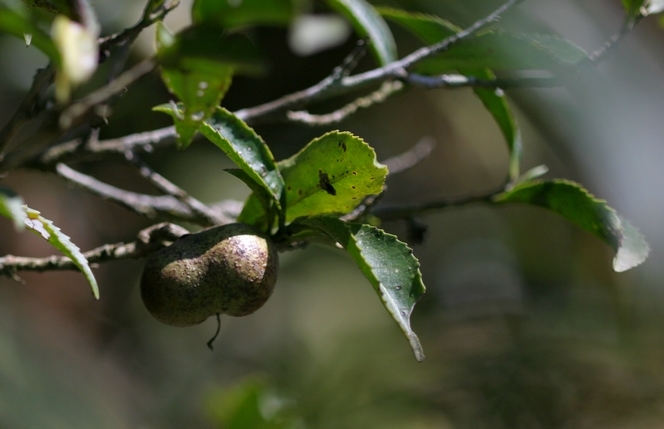 The fruit of the tea plant seen here is a type of nut. Inside are up to six seeds. Before choosing which seeds to plant, the grower does something interesting: he collects lots of seeds, then soaks them all in water for 24 hours. When he returns, he throws away all the seeds floating on the water’s surface, and keeps the ones that have sunk to the bottom. He knows that only those seeds will produce good tea plants.